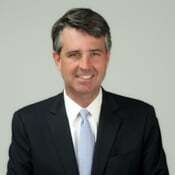 Mark R. Maddox has held a variety of senior strategic policy, communications, and political positions during his 25-year career, and currently serves as the Senior Vice President of Government Affairs for Arcadian Networks, where he serves as chief strategist on government policy and as a member of the executive team. He is currently a member of the Gridwise Alliance Board of Directors. Previously, he served as Assistant Secretary (acting) and head of the U.S. Department of Energy’s Fossil Energy program from 2004 to 2006. He was appointed Principal Deputy Assistant Secretary for Fossil Energy in 2003. As the head of the Department of Energy’s fossil energy research and development program, Maddox oversaw the development of many of the critical technologies that will be essential to controlling future green house gas emissions. He also managed a $750 million budget, and high profile initiatives including the FutureGen Zero Emissions Power Plant, Integrated Gasification Combined Cycle Power Plant development, the regional carbon sequestration program, liquefied natural gas supply and safety issues, the Alaska Natural Gas Pipeline, and the Strategic Petroleum Reserve. Internationally, he chaired the 21-nation Carbon Sequestration Leadership Forum Policy Committee, and led working groups with China and India. He also served as a Senior Policy Advisor to the Secretary on fossil energy, environmental management, and budget issues. Additionally, Maddox worked in the Government and Public Affairs offices at Lockheed Martin as a director for the Integrated Management Systems division. Before that he served as Chief of Staff for Congressman Nathan Deal, and also worked as a senior strategist for the National Republican Congressional Committee (NRCC) and the Republican National Committee (RNC). Maddox received a Masters of Business Administration from George Washington University and earned an undergraduate degree from Bowling Green State University, OH.